UPDATE: Documentary filmmaker Gary Huswit, known for films like Objectified, has just realeased teasers for his new work, Rams. This new documentary coming soon looks to be brillant -and why not- his subject is the most influential designer of the last century. Rams – Teaser (Less and Better) from Film First on Vimeo. We’re on the edge of a new era of design. We’ve gone beyond the two-dimensional and we are certainly moving past the three-dimensional. We’re now in an era where designers are increasingly guided by technological advances in artificial intelligence, robotics, augmented and virtual reality as they create smart environments. But the eternal design question stays the same: What is good design? What does good design mean to you? In the past, thought leaders like design icon Dieter Ram have offered up their versions of the principles of good design. Rams, 84, is universally respected for his sleek, modernist products for manufacturers like Braun and Vitsœ. His design influence can be felt in everything from Apple to user interface design. 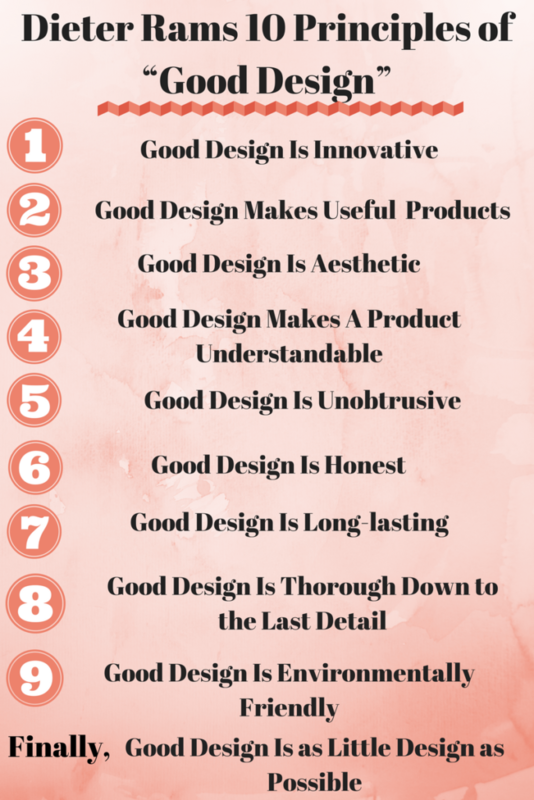 Rams is maybe best known for his “Ten Principles of Good Design. “ His manifesto, sometimes referred to as the Ten Commandments of Design, champions simplicity, honesty, and restraint and was written to pass on what he learned both about design and consumer culture. Probably most importantly, it still applies to design theory and practice today. Good Design Is Innovative : Technological development is always offering new opportunities for innovative design. But innovative design always develops in tandem with innovative technology, and can never be an end in itself. Good Design Makes a Product Useful : A product is bought to be used. It has to satisfy certain criteria, not only functional but also psychological and aesthetic. Good design emphasizes the usefulness of a product while disregarding anything that could possibly detract from it. Good Design Is Aesthetic : The aesthetic quality of a product is integral to its usefulness because products are used every day and have an effect on people and their well-being. Only well-executed objects can be beautiful. Good Design Makes A Product Understandable : It clarifies the product’s structure. Better still, it can make the product clearly express its function by making use of the user’s intuition. At best, it is self-explanatory. Good Design Is Unobtrusive : Products fulfilling a purpose are like tools. They are neither decorative objects nor works of art. Their design should therefore be both neutral and restrained, to leave room for the user’s self-expression. Good Design Is Long-lasting : It avoids being fashionable and therefore never appears antiquated. Unlike fashionable design, it lasts many years – even in today’s throwaway society. Good Design Is Thorough Down to the Last Detail : Nothing must be arbitrary or left to chance. Care and accuracy in the design process show respect towards the consumer. Good Design Is Environmentally Friendly : Design makes an important contribution to the preservation of the environment. It conserves resources and minimizes physical and visual pollution throughout the lifecycle of the product. Good Design Is as Little Design as Possible : Less, but better – because it concentrates on the essential aspects, and the products are not burdened with non-essentials. Back to purity, back to simplicity. Join us in May 15-22, 2018 for a Textiles and Design Trip of a lifetime! 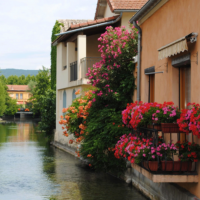 Join us in 2019 for a Textiles and Design Trip of a lifetime! Oh, The Places Deb Goes! Copyright © 2016 Design Confidential. Site design by Hibiscus Creative on Thesis.